Handling is even better than people already assume it is. 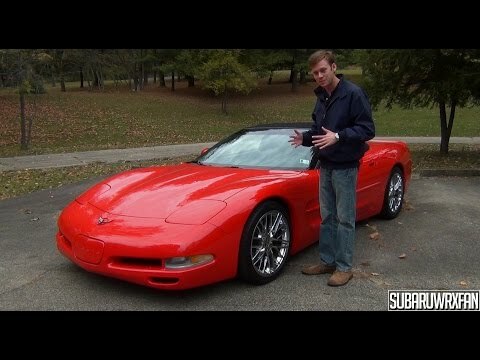 The Corvette is the best car I have ever driven. It is by far the best value for your money. Performance, reliability, comfort, and heads up display are great. The only slight problem I had was learning to drive stick on it so I had to get a new transmission earlier than expected. Highly recommend. Low, fast and sleek this car has it all. I haven't had any performance issues with my car. It drives and handles nicely. It has a lot of power and has been a very reliable car. On these passenger vehicles, the lap belt webbing can twist, allowing the webbing to become jammed in the retractor. When the belt webbing becomes jammed in the retractor, the seat belt may be unusable. Dealers will install inserts to the belt web guide of each lap belt retractor. The manufacturer has reported that owner notification was to begin during May 2000. Owners who do not receive the free remedy within a reasonable time should contact Chevrolet at 1-800-222-1020.